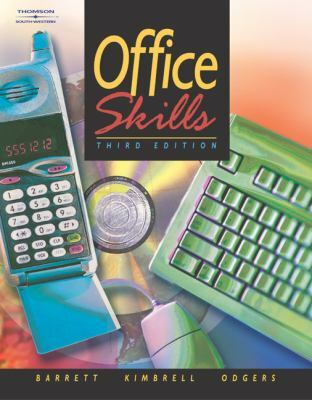 Office Skills provides up-to-date, real-life, and valuable information for the office of tomorrow with an emphasis on practical applications, everyday skills and the knowledge needed to be successful. The text presents an overview of technological skills and examines attitudes and human relationships, highlighting the ?people skills? vital to a successful career.Barrett, Charles is the author of 'Office Skills', published 2002 under ISBN 9780538434850 and ISBN 0538434856. Loading marketplace prices 11 copies from $3.56 How does the rental process work?